It's the beet generation! 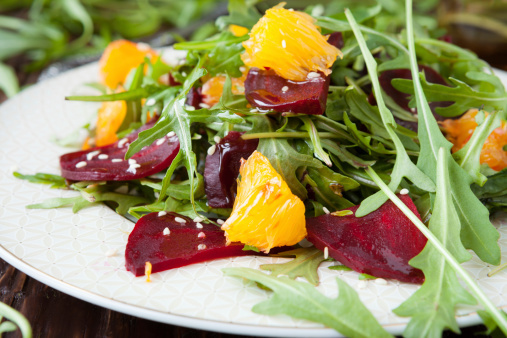 This beet clementine salad is chocked full of fresh, far out flavors, and nutrients to the max! Combine greens, beets, tomatoes, onions, walnuts, and clementines into a large salad bowl. Lightly toss ingredients until well-mixed. In a jar or sealable container, mix the balsamic vinegar, olive oil, juice, mustard, dill, and rosemary and shake vigorously for about 30 seconds. Pour the dressing over the salad mixture and lightly toss everything again. Serve immediately.